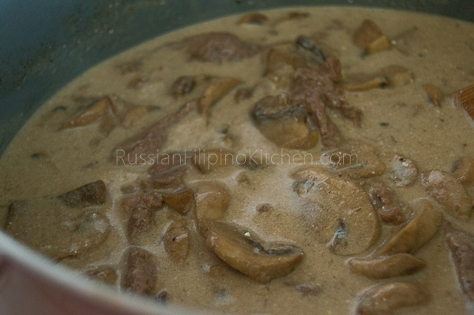 Beef stroganoff is a classic Russian dish made from beef, mushrooms, and sour cream traditionally served over mashed potatoes. History credits Count Pavel Stroganoff, a famous dignitary of the Court of Alexander in mid-19th century Russia, on the popularity of this dish. 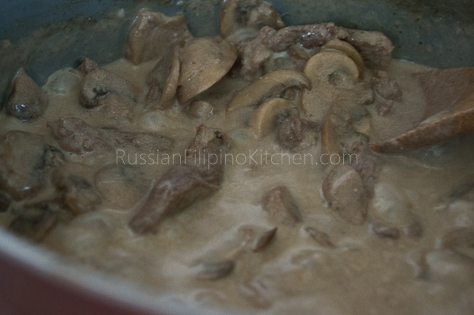 Today, there are many variations of beef stroganoff, with more ingredients added and some substitutions done. 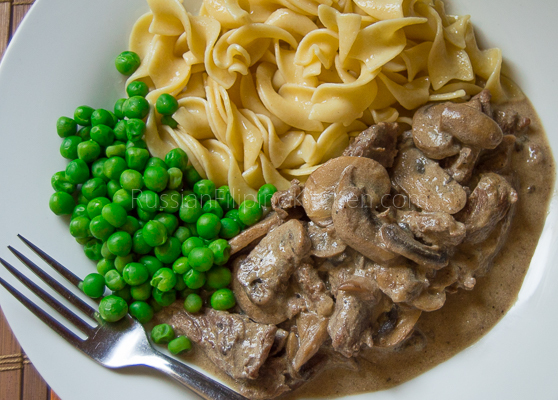 Regardless of how it’s made, I am yet to try a beef stroganoff recipe that I don’t like. This dish tops my list among my favorite Russian foods because it is just so good! 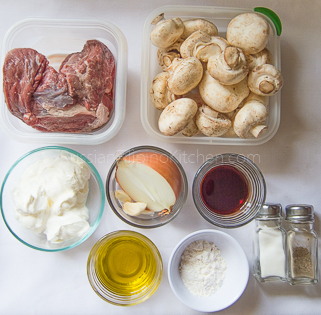 My version uses thin strips of beef that are lightly floured, some mushrooms, and sour cream. 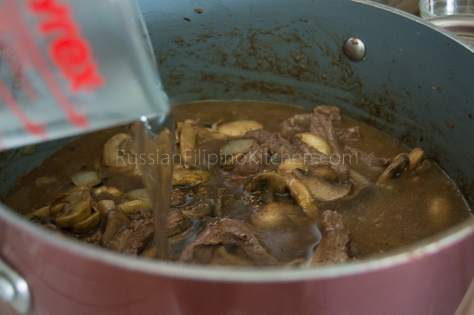 This is one of the few Russian dishes I learned how to make during my first year of marriage. It has since become a regular in our family’s dinner menu usually with generous servings of rice, buttered pasta, or mashed potatoes. 1. Peel onion and chop. Smash garlic cloves, peel, and mince. finely Set aside until ready to use. 2. 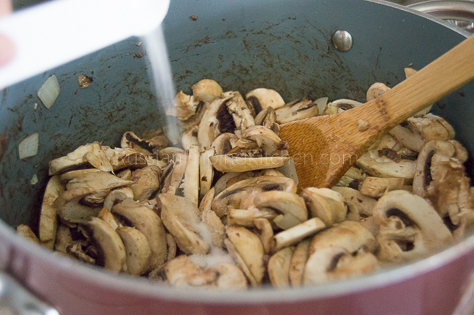 Wash mushrooms thoroughly under cold, running water to remove dirt. Pat dry and slice into half a centimeter thick. You don’t want to slice them too thin ’cause they’ll shrink when cooked. 3. 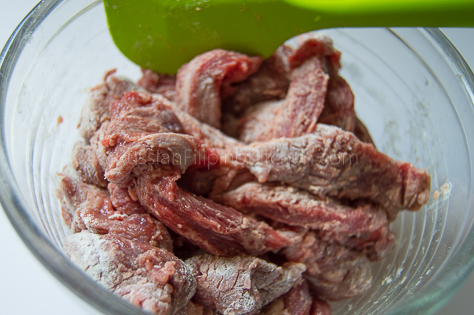 Trim excess fat off the beef, then slice into 1/2 inch thick. Place in a small mixing bowl and coat with flour. 4. Heat a large skillet or Dutch oven over high heat. 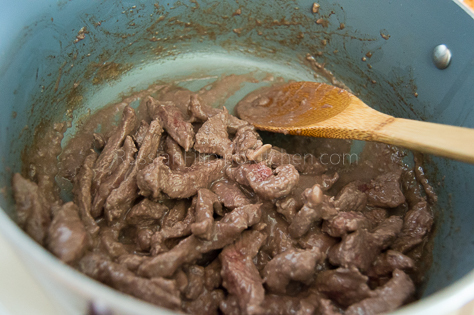 Add 3 tablespoons oil then brown the meat for about 5 minutes. 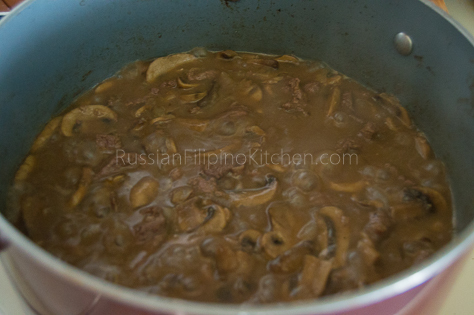 Lower heat to medium and transfer browned beef to a plate or bowl. You will notice the bottom of the pot has some dark residue left. It’s normal. You will be able to scrape it off later on when you add the liquid. 5. 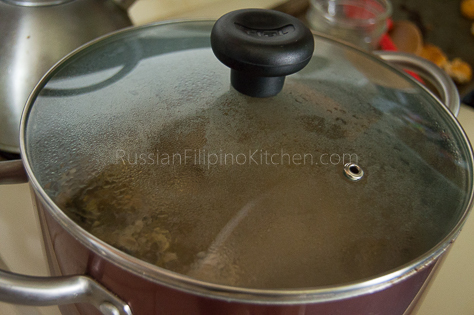 In the same skillet or pot, pour the remaining 3 tablespoons of oil. Add onions and garlic, and saute until fragrant, about 2 minutes. 6. 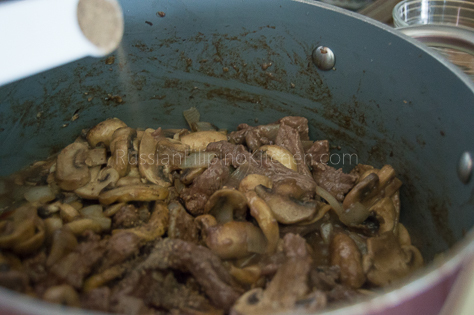 Throw in the mushrooms, add salt, and saute until soft. 7. 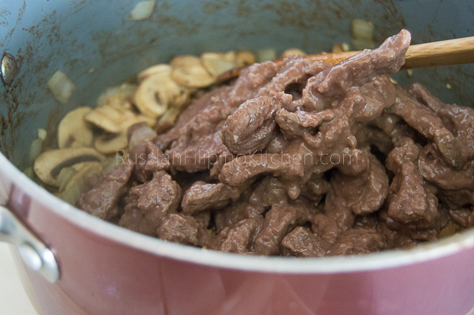 Place browned beef back into the pot and stir. 8. Season with soy sauce and ground black pepper. 9. Add water and stir to mix. 10. Cover pot and increase heat to high and bring to a boil. Once it starts boiling, turn down heat to medium low and simmer for 45 minutes or until the meat is tender, stirring pot and scraping the sides every 15 minutes or so . You may need more water as needed. 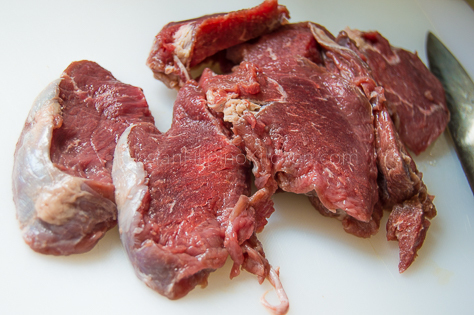 You can test doneness by piercing the beef strips with the tip of the knife or with the tines of a fork. If you can cut easily, it’s done. At this point you’ll also notice that most of the water has evaporated and there’s only about a cup or less of liquid left. This is the perfect time to add the sour cream. 11. Add sour cream and stir quickly using a spoon. Let it simmer uncovered for 10 minutes until the sauce further thickens. 12.Remove from heat and serve with mashed potatoes, rice, or pasta. Peel onion and chop. 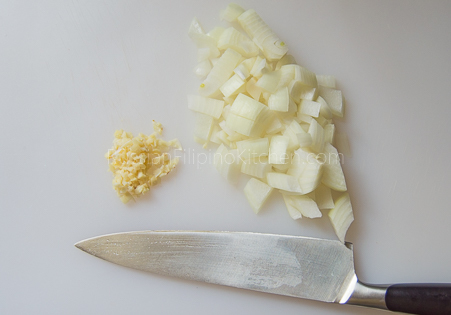 Smash garlic cloves, peel, and mince finely. Set aside until ready to use. 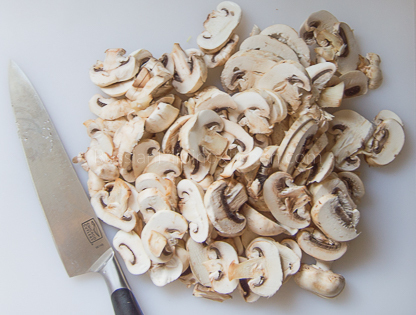 Wash mushrooms thoroughly under cold, running water to remove dirt. Pat dry and slice into half a centimeter thick. You don't want to slice them too thin 'cause they'll shrink when cooked. 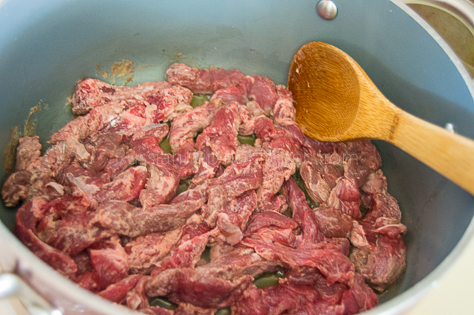 Trim excess fat off the beef, then slice into ½ inch thick. 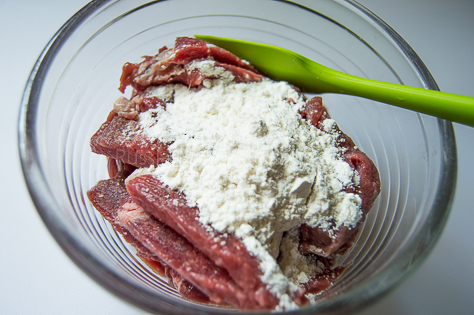 Place in a small mixing bowl and coat with flour. Heat a large skillet or Dutch oven over high heat. 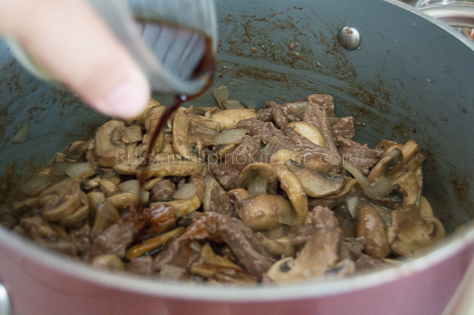 Add 3 tablespoons oil then brown the meat for about 5 minutes. 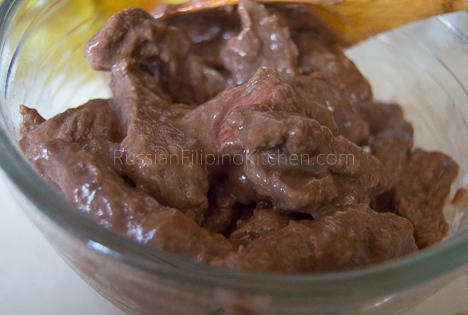 Lower heat to medium and transfer browned beef to a plate or bowl. You will notice the bottom of the pot has some dark residue left. It's normal. You will be able to scrape it off later on when you add the liquid. 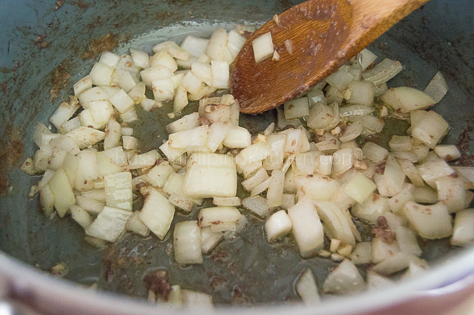 In the same skillet or pot, pour the remaining 3 tablespoons of oil. Add onions and garlic, and saute until fragrant, about 2 minutes. 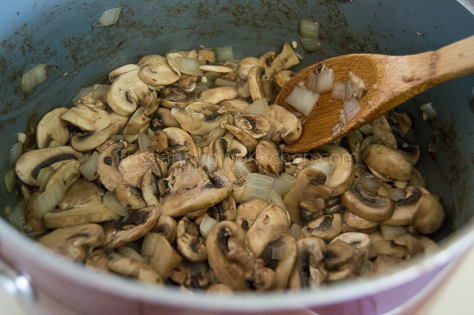 Throw in the mushrooms, add salt, and saute until soft. 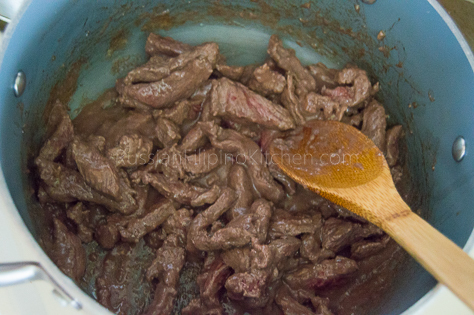 Place browned beef back into the pot and stir. Add water and stir to mix. Cover pot and increase heat to high and bring to a boil. 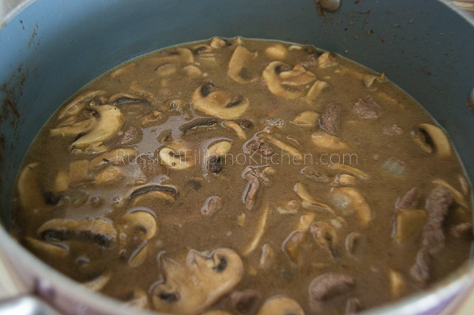 Once it starts boiling, turn down heat to medium low and simmer for 45 minutes or until the meat is tender, stirring pot and scraping the sides every 15 minutes or so . You may need more water as needed. 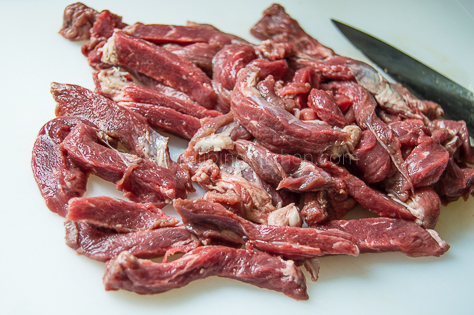 You can test doneness by piercing the beef strips with the tip of the knife or with the tines of a fork. If you can cut easily, it's done. At this point you'll also notice that most of the water has evaporated and there's only about a cup or less of liquid left. This is the perfect time to add the sour cream. 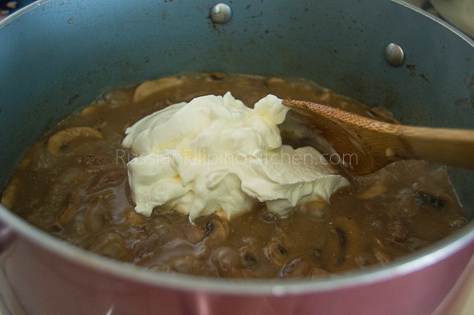 Add sour cream and stir quickly using a spoon. Let it simmer uncovered for 10 minutes until the sauce further thickens. Remove from heat and serve with mashed potatoes, rice, or pasta. I like the way you take photographs every step of the way. This recipe looks wonderful. 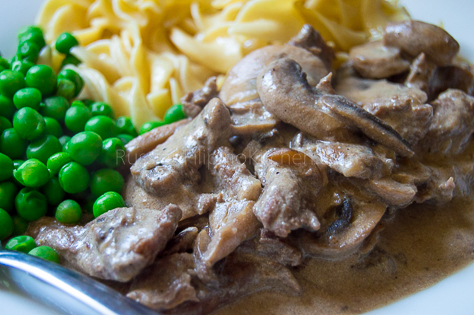 Stroganoff is one of my favorite “comfort” dinners. Thanks for the share. Thank a lot! I appreciate your feedback every time!